A set of 2 beautifully handcrafted warli terracotta vases, in a versatile Matki and Tumbler shape, handpainted with a patch of beautiful Madhubani art and Warli Art. 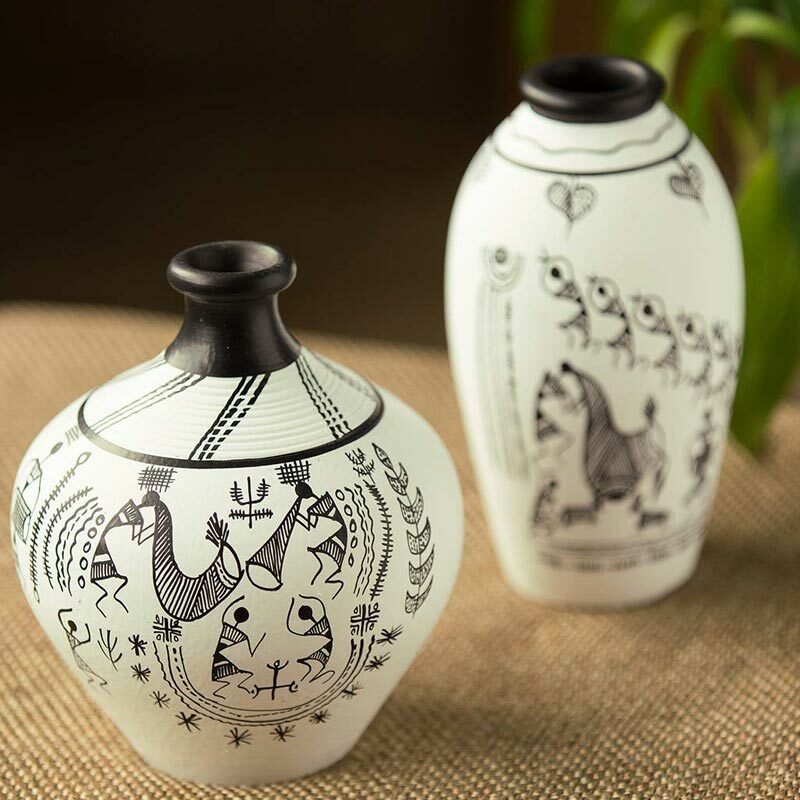 The Matki shaped vase is handpainted in a classic combination of black and white which has warli art painted all over it. 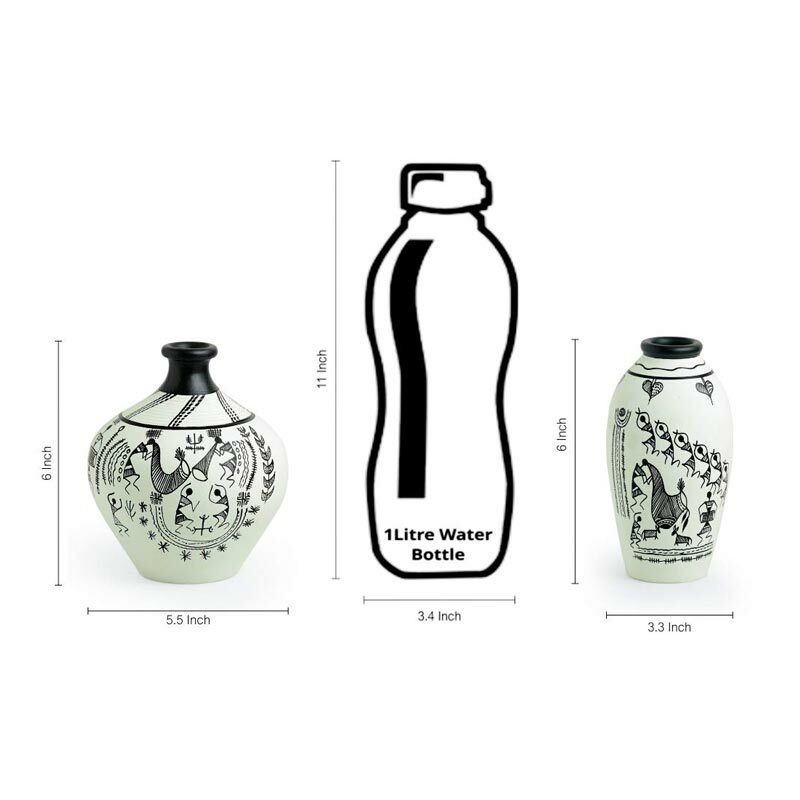 The Tumbler shaped vase is handpainted in a classic combination of black and white which has warli art painted all over it. Handcrafted from terracotta, this set makes a unique and eye catching decor. Art type: Warli handpainting. Note: 1) Set of 2. 2) As this product is handcrafted there might be a slight color or design variation, which is natural and hence makes the product unique. Package content: 2 vases.